As a perpetually young English Labrador Retriever, Annie has great energy and her enthusiasm lights up a room the minute she walks in! She loves to play – the tennis ball is her favorite toy - and she greets everybody with a vigorously wagging tail and that famous Labrador smile! 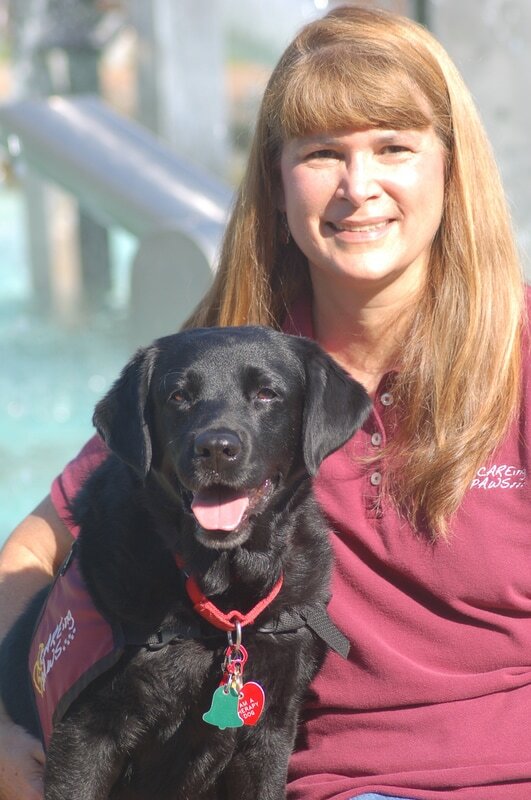 Annie has been a therapy dog since she was 2 years old and she visits regularly at our local nursing homes, rehab facilities, airports, college campuses, schools and libraries where she spreads her joy and happiness to all she meets! 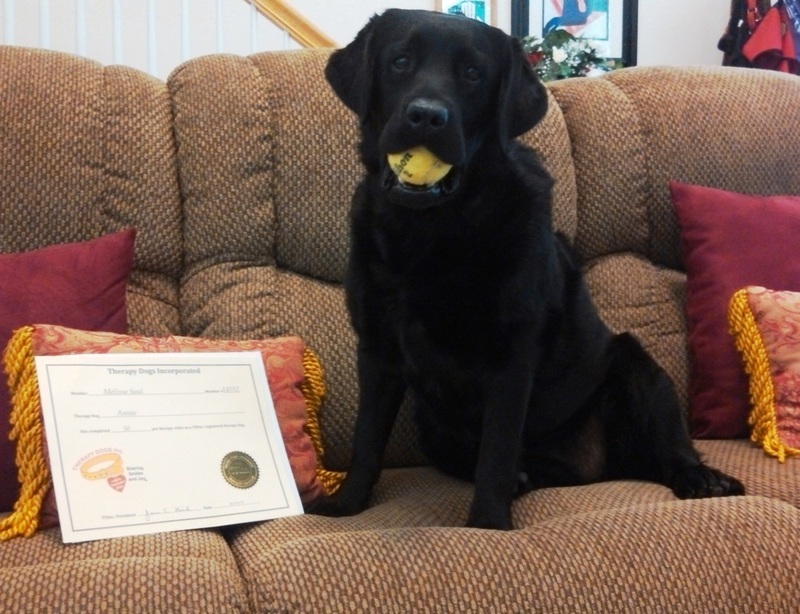 Annie is a registered therapy dog with the Alliance of Therapy Dogs and a registered Reading Education Assistance Dog. She often assists me in evaluating new therapy teams for CAREing Paws. She enjoys teaching new dogs what it’s like to be a therapy dog and they, in turn, feel much more comfortable with Annie leading the way! ​Annie is the essence of a loving Labrador. She will fill your heart up! Annie LOVES her Lose A Finger treats!